KawaiiPunk - Kawaii Mascot Blog: Cute and Creepy! There! 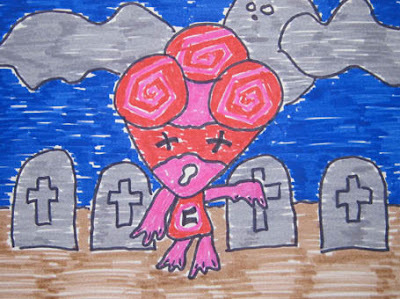 It’s a picture of your fine self as a gruesome ghoul, and looking mighty cute too, even if I do say so myself! Take that Ghost, Zombie, Mummy, Monster and Demon Mascots! Cute rules and kawaii is forever!